We offer the amenities of ownership with the convenience of rentals at Liberal Commons Garden Apartments. At Liberal Commons Garden Apartments, you will find the quality and price you are looking for in a rental. 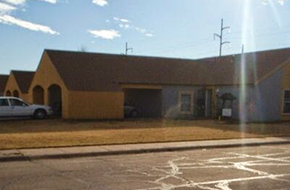 You will love to come home to the spacious townhouses at Liberal Commons Garden Apartments in Liberal, KS. Liberal, KS is a beautiful city to live in, and if you are looking for an apartment that fulfills and exceeds all your expectations, you are in the perfect place at Liberal Commons Garden Apartments. We offer spacious, luxurious townhomes with plenty of privacy and many amenities. Conveniently located in a quiet neighborhood, you can enjoy living in a house setting without having the responsibilities of a homeowner. Each of our two or three bedroom garden style apartments provides lots of living space. Washers and dryers are ready for use in each unit and the kitchen cabinet space will surprise you. For your convenience, an outside storage area is also included. Parking is easy and worry-free with a private driveway leading up to the front door and a covered carport that will protect you from rain, wind, or snow. You can enjoy the outdoors in your own private yard. Put up an outdoor swimming pool, have cookouts with family and friends, watch the kids play or, if you have always wanted to plant a garden, you have enough room here to turn your wish into reality. Living at Liberal Commons Garden Apartments in Liberal, KS will truly make you feel like coming home. 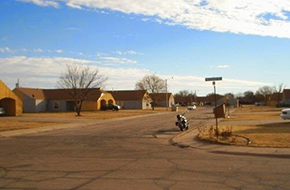 Schools, shopping, and dining are all easily accessible within a short distance. Attractions and all the hot spots where you can enjoy a night out are within only a few miles from your front door as well. Contact us at Liberal Commons Garden Apartments to check for availability, or to set up an appointment. We will gladly show you around and reserve one of our newly renovated townhomes for you. You will love it here. The community of Liberal Commons welcomes visiting nurses from the Southwest Medical Center. Teachers from US 480 board of education have arrived at Liberal Commons apartments for the upcoming school year. Herman from the veteran's administration has renewed his lease for the 15th year. Liberal commons is glad to announce discount passes to the racquet and fitness center across the street from Liberal Commons Apartments. 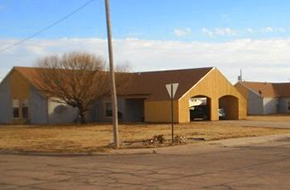 Liberal Commons are the only garden apartment homes in Liberal, Kansas. Liberal Kansas garden apartments will offer gold passes to the Adventure Bay Water Park this summer.